I was introduced to the magic of Disney at a very young age and the many wonderful experiences have shaped my life from childhood into adulthood. I became a travel agent many years before I thought to make it part of my profession. Many years as an administrative assistant taught me valuable organization, customer service, and travel planning skills. Research and planning is a huge part of Disney excitement and I love living vicariously through my clients. After the birth of my daughter, I knew I wanted to spend more time with her at home and planning Disney travel for guests allowed me to chase my dreams. After just 18 months in this new career path, I was able to quit my office job and creating Disney vacations is now my full-time career! Disney has provided me with more than 30 years of memories including, a graduation trip with my younger sister (our first trip as adults) and taking my husband to Disney World for the very first time. I now get the experience of seeing Disney through the eyes of a child taking my daughter. It has been a completely new experience seeing her truly grow up with Disney and has taught me valuable life experiences from Disney in diapers, managing nap schedules, and the ease and relaxation of taking a younger child on a Disney Cruise. Every time I take a trip to any Disney destination, I am surprised and amazed by something I’ve never seen before. It’s one of the many reasons I love Disney destinations! I hope to help you and your family make new memories whether you’re a seasoned veteran or it’s your first trip. Make sure to put MELISSA FOX in the agent request box! I cannot even begin to say how invaluable Melissa was to our family in planning our first Disney vacation. I told her what we wanted to do, our budget and she helped me put together an experience that fit both perfectly! Melissa answered all questions in an extremely timely manner and if she was going to take longer to answer emails (which happened maybe twice in the 11 months of planning), she communicated that as well. She helped us tailor our vacation - even suggesting what parks to do on what days and helped us plan ahead for “middle of the week meltdown” (yep. That is a thing). She was as excited for our vacation as we were. She even helped us navigate fast passes and changed a dinner reservation while we were there. I ended up texting her almost as many pics as I did our families. AlyI felt like she was a part of our vacation. I would highly recommend Melissa to anyone planning a Disney vacation. She is kind, competent, timely and knows her Disney! We will definitely be going back and utilizing her help for the next trip! As a single mom of two kids, I had very little time to plan our Disney vacation. Melissa F. did a fantastic job of gathering the interests, likes and dislikes of my family and managed to pull together a spectacular itinerary for us, complete with my dream of eating in Cinderella's Castle at Magic Kingdom. I am so grateful for all of the recommendations and reservations that Melissa made and her patience as I asked 1001 questions. Melissa always had plenty of information and answered immediately; not one request or question went unanswered or unfulfilled. As a result, me and my kids had a stress free vacation filled with magic, memories and laughter. I will never forget watching my son battle Darth Vader at Hollywood Studios, or my daughter becoming a WDW Princess at Magic Kingdom. I am beyond grateful for the work Melissa Fox put into our special vacation. Melissa Fox planned the most amazing vacation for my family! We had a blast spending 5 days at Disney. She was so knowledgeable and gave us so many tips to help make our vacation absolutely perfect! She asked us our preferences on fast passes, and gave us options for hotels and dining plans, and she booked everything for us! She answered all of my many questions, and knew the ins and outs of all things Disney! All we had to do was show up and have fun! :) She sent us a "Minnie box" before we left for our vacation, which had an itinerary she had made for us with tons of helpful tips, dining recommendations, etc! We will definitely go through her again for our next Disney vacation! Thank you so much Melissa!!! I am a Disneyland AP and contacted Melissa F. for help in planning my family's first trip to Walt Disney World. Boy am I glad I did. Not only did Melissa get us a cheaper deal after we had booked our trip, she got all the fast passes and dining reservations we wanted. Melissa was always there for any questions I might have had and gave me the best tips that made our trip unforgettable. Our mini agenda booklet that she created was the perfect size to fit in our backpack and refer to during each day of our trip. 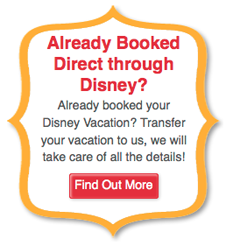 I will recommend Melissa F. to all my Southern California friends and family that might be heading to Disney World. I cannot wait to plan another Disney vacation with her. The entire process was wonderful! My agent was perfect and did an amazing job planning and organizing our trip. This was my family's first time to Disney World so I was very overwhelmed with all the details and planning. Melissa F. kept me at ease and answered every single one of my questions the same day they were asked (since most of our communication was email) along with answers to questions I didn't think to ask. She did such an amazing job planning things that my two boys would enjoy and made sure that my younger son, who was too short for most rides, had his own special things we could do. We are already planning for another trip and will use Melissa F. again and again! Where do I start! I just had the most amazing "adult" Disney vacation I could have ever imagined thanks to Melissa Fox! I wasn't sure what the benefit of using a travel agent would be, and now I will never travel without one! Melissa was extraordinary!!! We were originally set to travel in mid October, but due to some complications had to change our dates. Melissa literally transfered our entire trip from October to December and we are so pleased to have gone during the holiday season instead. Every aspect of our trip was handled by Melissa from flights and hotel to dining and fast passes. You name it she took care of it for us or helped us with whatever questions we asked. We ended up with dining reservations at some of the best restaurants I've ever eaten at because of her, including California Grill which I highly recommend. Prompt responses to emails, phone calls when I panicked about our sudden change in dates, text messages while we were there with some minor issues. We were literally spoiled by Melissa's service. So grateful for her and we cannot wait to plan our next trip to Disney with all our kids this time! Thank you Melissa Fox!! I could not be happier with my experience thus far with Melissa F. At first I was cautious to use an agent to plan our family trip, as I have always done the planning on my own. Boy, was I missing out!!! Melissa F offered tips and suggestions to help make our upcoming trip more magical than ever before. She was honest and gave me her opinion on topics. I never felt that making money was a deciding factor in her opinions, which was refreshing as so many agents now try to get you to spend as much as possible. When it came to planning, she was proactive in scheduling everything for us. I did not have to be concerned with staying up all night or beating the disney rush to get the reservations we wanted. In addition, she listened implicitly to all my requests and was extremely patient if I changed my mind. I felt like a trusted friend was helping organize our trip and did not need to be concerned with anything at all. We go to disney every other year and will definitely be using Melissa Fox again in the future. Practically perfect in every way!!! I cannot say enough kind words regarding Melissa Fox with Magical-Vacations, LLC. She was a HUGE part in making our second trip to Walt Disney World absolutely amazing! We began the planning process about a year in advance and she was patient, understanding and knowledgable, always ready to answer my questions. Her turnaround time was unbelievably fast! She answered countless emails and phone calls regarding every minute detail and handled everything flawlessly. Melissa Fox scheduled all of our Fast Passes, ADR's, extras such as Pirates & Pals Fireworks Voyage (a total must do for anyone) and totally put my mind at ease! The stress of not having to worry about being up early to score the ADR's and FastPasses we wanted was a huge relief and we got everything we wanted, it was great! Melissa was also very patient when I gave her our payments via gift cards, always very cheerful, upbeat and positive. She was great at easing my fears when Disney changed Magic Kingdom hours a few weeks before our trip and I thought it would interfere with our Cinderella's Royal Table reservation (which it didn't and we had a wonderful time)! The Minnie Box is truly special, my son was so excited to open it, and see all of the wonderful goodies inside, one of my favorites is the itinerary booklet with every confirmation number, reservation number, fast pass times and suggested touring plans along with other helpful hints. My husband, son, mom and I had the best vacation ever thanks to Melissa and all of her attention to detail. It's truly what makes her stand out above the rest. I will never plan a Disney vacation of any kind on my own again, this is such a great service and she does a wonderful job! There is SO MUCH information out there on Disney that it is incredibly confusing - so many websites, so many recommendations, so many ‘experts’ and so many ‘tips’ of “What to do” and “How to do it!” Faced with planning a USA trip with Disney ( and Universal ) for my family of 5 and having never been to the US before had its fair share of complexities. 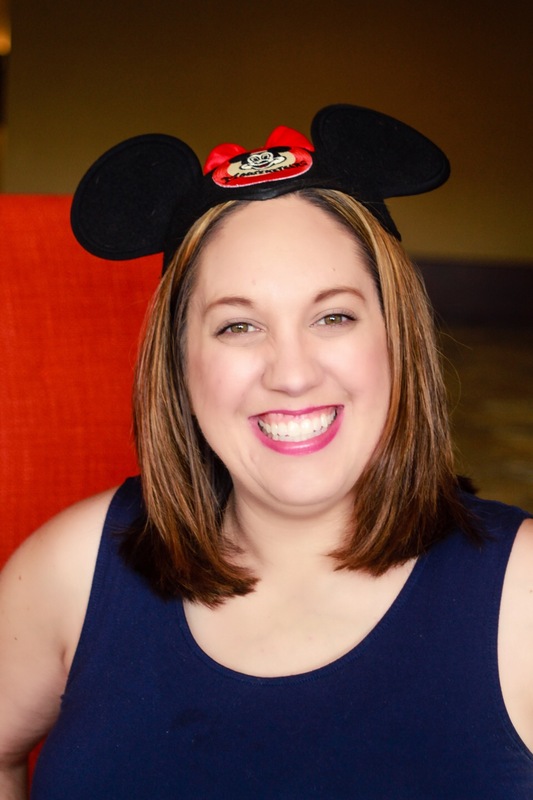 In my quest to plan the perfect trip I came across Melissa Fox of Magical Vacations and I very quickly realised that I could leave all the Disney planning to her – all of it! The recommendations, the suggestions, the care taken, the personal touches on arrival and the positives answers to endless questions ensured that we did in fact have a ‘perfect holiday’. Thank you Melissa for taking personal care of us and making Disney Magic! Well, we're back! Thanks for making this a memorable anniversary & family vacation! Just so you know, during our trip everyone kept saying "Melissa knows her stuff" and "how could we have done this without Melissa?" It was like you were there with us. I'll never do this on my own again! THANK YOU!" This is a guestimonial for the help and guidance we received from Melissa Fox. Melissa made the process of planning our first Disney World vacation a truly enjoyable experience. Her insight into what rides/attractions would be a good fit for our 5 year old daughter Jinn was right on the mark. We especially appreciated her recommendations for dining and her time and effort to secure reservations for both the restaurants and the Fast Passes. The custom itinerary book with Fast Pass times and restaurant reservations (with confirmation #'s, a very helpful touch) became our companion throughout our Easter week at Disney and helped form the structure of each day, with plenty of time available for spontaneity too. We also really appreciated the time Melissa spent on the phone with my wife and I on multiple occasions answering all the questions we could think of and making suggestions that proved very useful. If we are blessed to travel again to Disney we would not think twice to book our trip through Magical Vacations again and recommend their service to anyone looking to take some stress out of planning their trip. Thanks and best wishes to Melissa from The Tunstall's!